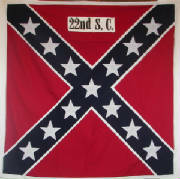 The 22nd SC is a War Between the States Reenacting/Living History group based in South Carolina. Our goals are to educate the public on the true history of the War Between the States, to honor our ancestor's and their heritage. There is always two sides of a story. We are a Progressive reenacting unit, but believe in family values in our group and intrust all members to practice them. We are currently looking for some good recruits to fill our ranks. We will welcome experienced and the non-experienced and we welcome families to join our group. We do not discriminate and welcome all into the unit. We all believe in teaching and reeancting the true historical side of both the war and the homefront. If you are interested in joining our ranks please click on the link below. We a place for you. DISCLAIMER: The 22nd SC Vol. Inf. does not promote hate nor belongs to or is affliated with any origanzation that promotes hate in any form. If you belong or are affliated with a group of that nature please do not visit this website. The Twenty-Second South Carolina Volunteer Infantry Regiment is a 501(c)(3) Non-Profit Corporation in the State of South Carolina. The music you are listening too on this website is 'I'm Going Home' performed by the Sacred Harp Singers. This song was recorded at Liberty Church. Information used from the Tramp Brigade Mess website is used with the permission and consent of the Tramp Brigade, Organization of Historical Interpreters.